There was a sharp tailing off in job creation in June following a robust performance month earlier. According to the ADP National Employment Report, which is produced by the ADP Research Institute in collaboration with Moody's Analytics, employment in the private sector rose by just 158,00 jobs. In contrast, the economy cranked out 253,000 payroll positions in May. Indeed, there were no new jobs overall in the goods-producing sector. Natural resources and mining suffered a loss of 4,000 positions, while construction lost 2,000 jobs. That neutralized manufacturing's addition of 6,000 workers. Services providers, on the other hand, created 158,000 jobs led by Professional/business services (+69,000), administrative/support services (+43,000) and health care/social assistance (+33,000). Most of the new jobs came in medium-sized businesses with 50-499 employees (+91,000). 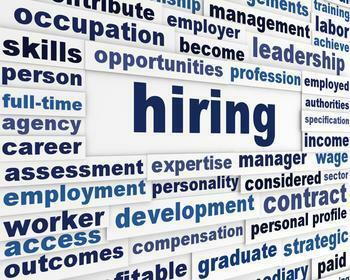 Large businesses contributed 50,000 jobs followed by small firms with 17,000 new hires. “The job market continues to power forward,” said Moody's Analytics Chief Economist Mark Zandi. “Abstracting from the monthly ups and downs, job growth remains a stalwart between 150,000 and 200,000. At this pace, which is double the rate of labor force growth, the tight labor market will continue getting tighter."